Happy Heart Month! February is named American Heart Month and is dedicated to spreading awareness about heart disease and promotion of heart health. 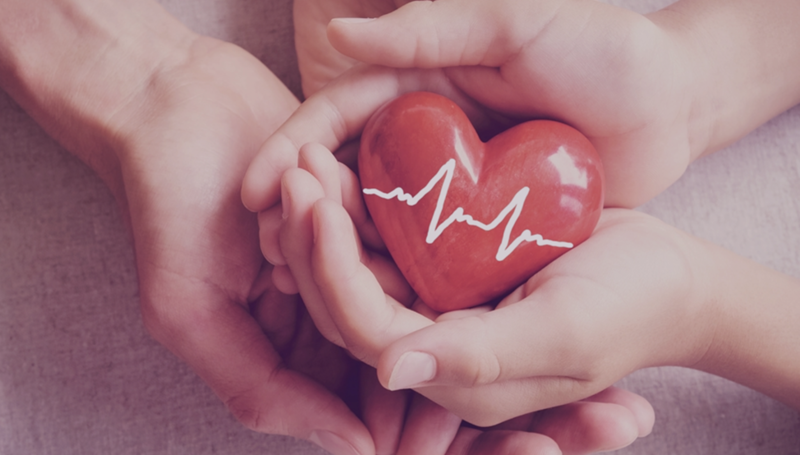 Did you know that the World Health Organization and the Center for Disease Control estimate heart disease to be 80% preventable with the right knowledge and lifestyle changes? Medical devices and pharmaceuticals are incredible nowadays, but are largely focused on treating conditions once they are already there. With about half of all people in the US having a major risk factor for heart disease and it being the biggest cause of death we’re facing, it’s important to know what we’re up against. To start, February 1st marked itself as Go Red For Women Day to signify the particular importance of heart disease among women. While premenopausal women do have lower rates of heart disease than men, postmenopausal women are right on par and catch up quickly. Furthermore, because of public perception, research has shown that women still worry more about breast cancer than heart disease despite breast cancer being largely treatable with 90% of women living at least 5 years past their diagnosis and yet heart disease kills more than all cancers combined. Only 54% of women realize that heart disease will be their most likely cause of death. This disparity is not just in the lay public. A research study from several years ago looked at gender representation in research studies regarding cardiovascular disease and found that a typical study’s participants were 85% male. You might ask yourself why this might be and what the downstream effects are. We know that heart disease is multifactorial - depending on many contributing factors - in terms of its risk factors and presentation. We also know that men and women often present differently with symptoms of heart attack that leave women with worse statistics in terms of time to recognition of a heart attack in emergency rooms and being started on appropriate treatment. The American Heart Association’s Go Red for Women Day is making an effort to change all of this and represents what American Heart Month is all about. Crucial to realize is that it’s not an all-or-nothing game. The more you do to positively affect change on your risk factor profile, the higher the impact of your changes. There are great studies out there that have shown just how powerful some of these changes can be. In total, the number of deaths in the US that are preventable with just some of these lifestyle changes is about 200,000! Not be cliche, but we all have the power to not be just a statistic here. Let’s embrace Heart Month together and learn, educate, and act on everything we can to live a happier, longer, and heart-healthier life! If you have questions about your heart health, email us or visit heartbeathealth.com for more information!